Not only is French born Eric Demarchelier a well-known painter, but he is also the owner of one of the most iconic Upper East Side restaurants, authentic French Bistro Demarchelier’s, celebrating its 25 year anniversary this 2017. Talent runs in the Demarchelier family. Brother Patrick Demarchelier is a world renown fashion photographer while Eric Demarchelier has received acclaim as a painter. Eric’s artistic style encompasses figurative, geometric abstraction and abstract expressionism, as well as landscape and portrait painting. 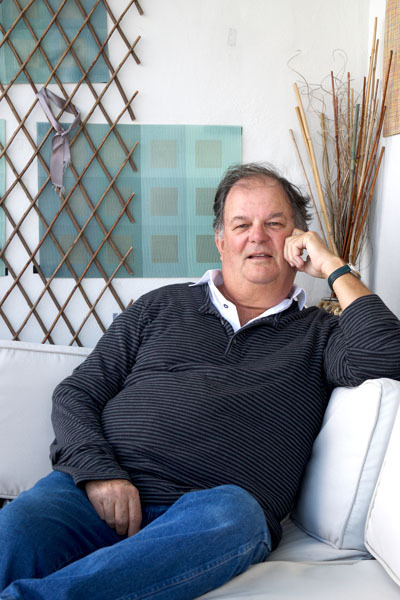 Born and raised in Normandy, French restaurant owner Eric Demarchelier has lived in New York since 1977, the same year he opened the very first location of his eponymous restaurant. 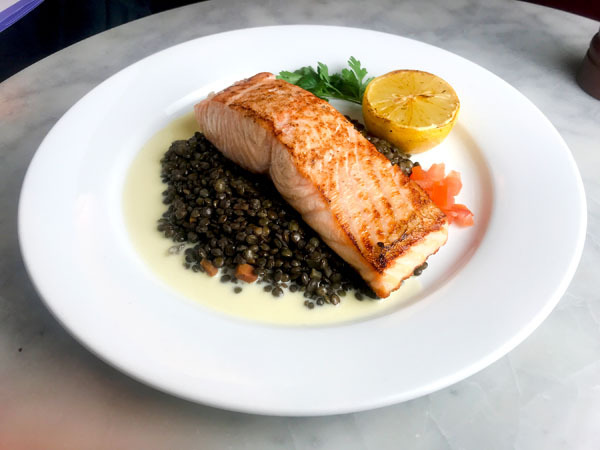 After closing the original location on Lexington Avenue, Demarchelier re-opened the restaurant in 1992 on 86th street and his regular customers followed. The restaurant boasts a colorful and cozy environment, with artwork by Eric Demarchelier himself on the walls. He began painting in the 1990s and has been rotating the art exhibited in the restaurant every year since then. Apart from the rotating artwork, Demarchelier has remained consistent throughout the years, both in terms of ambiance and menu, though part of the responsibility of running the restaurant has been pledged to his daughter Emily Demarchelier. 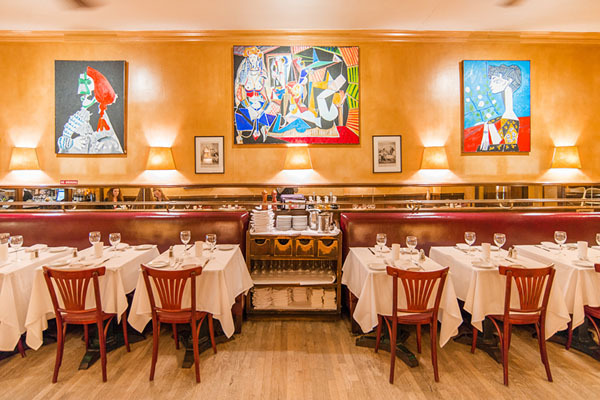 More bourgeois than bohemian, Demarchelier’s cheerfully noisy, cozy quarters are home to a menu of mainly familiar hits from French bistro fare, like standout French onion soup and briny moules mariniere au vin blanc, in a cream-enriched broth. Main courses also hew to the classics; duck confit is served over a hearty mix of tomato- and tarragon-scented flageolets. For pure French luxe, sample the Sole Meuniere. Flour-dredged and pan-fried in butter, this tender fillet is accompanied by a grilled lemon half and fat wedges of boiled potato, tossed in plenty of butter and chives.